The story goes that Magnetic Island was given its name after Captain Cook believed it was full of iron deposits that were causing problems with his ship’s compass. In reality, I think he just made it up as an excuse to stay there longer, and I really can’t say I blame him. A small island which is a suburb of Townsville on the nearby mainland, aside from a few small pockets of residential areas it is made up primarily of National Park. A single bus service runs from one end of the island to the other, but for many people the most preferable way of getting around was the network of hiking trails. Far from paved pathways, they often involve traipsing and even climbing over outcropping rocks, but are more than worth it. Particularly the fort trail. 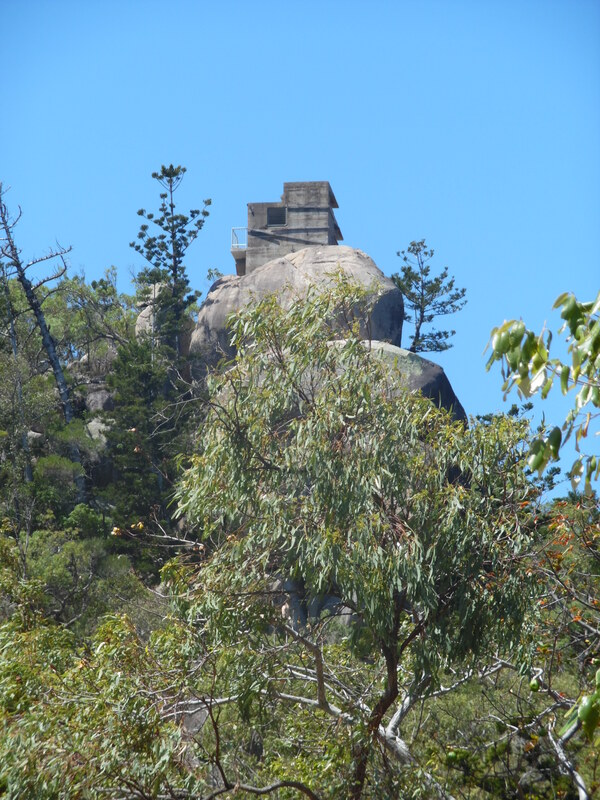 Back in WWII, Magnetic Island was home to troops who manned the communication and control towers built to aid Australia’s defences in the Pacific. High up in the island’s hills, they now offer tourists the same spectacular views that first served the armed forces. The buildings still stand, and although the gun turrets and most of the equipment no longer remain, there is still plenty left, complete with information boards along the walk to tell the fascinating story of such a small outpost. Once you reach the communication tower there is also an audio display offering a brief oral history from those who lived through it, but the island’s wildlife has also taken back what has been left behind; I saw a small family of bats nestled inside the powder keg. As Cook didn’t have the opportunity to sample this tower’s 300 degree view, it is this wildlife, of which the bats are merely the tip of the iceberg, that people have been delighted at for years and decades. 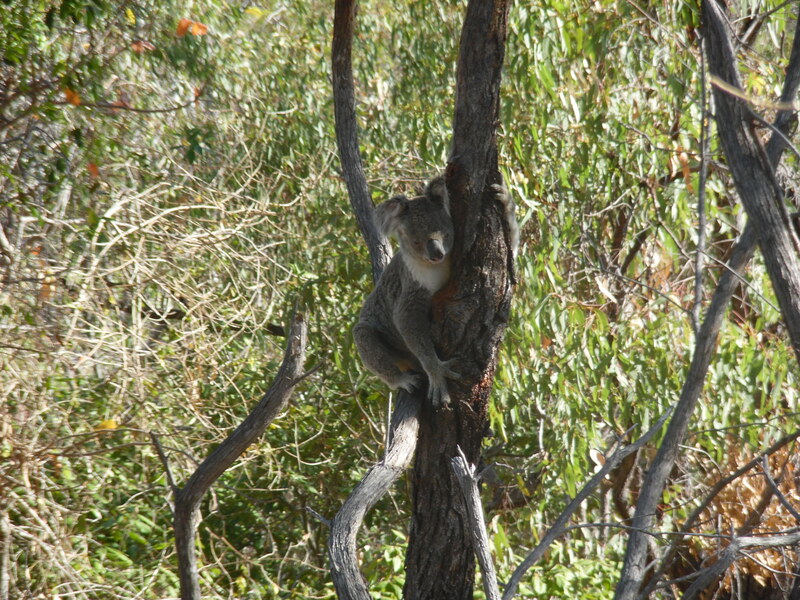 I myself saw wild rock wallabies in more than one location when exploring the coastline, and with thanks to an Australian family who pointed them out, wild koalas in the trees near the Sphinx Outpost. Something that I personally found fascinating as a foreign tourist, it seems that it was no less breath-taking to those who have spent their whole lives in this marvelous country. Whilst watching them I also began to chat with a man from Melbourne, discussing my delight at seeing wildlife much more exotic than Exmoor ponies, and even his at seeing them in the wild, despite growing up next to a koala sanctuary. He even chose not to go out drinking with his friends in order to save the money he needed to make trips like this; surely the biggest sacrifice an Australian can make. Magnetic Island is one of those places that makes me glad I grew up playing RPGs which taught me to hunt for treasure in every nook and cranny. (Yes, the koalas had to be pointed out to me, but you have to keep an eye on those stones you’re climbing over as well.) More than chests containing potions and accessories though, I found countless lizards rustling through the leaves on the ground, each no bigger than a spider hiding under the bean bags at the YHA hostel. In comparative sizes yes the lizards were fairly small, and yes the spider was massive. Not that I should be surprised at this abundance, as the YHA seemed to house, or at least feed, as many animals as the woodland. Aside from the koala sanctuary (but who needs a guided tour when you’ve seen them in the wild?) which was also situated on the hostel grounds, I saw a possum feeding on left over pizza crusts, and I can add an entire flock of Rainbow Larokeets to the list of animals I’ve hand fed since being here. Certainly it was the most memorable, although the scratches seem to have healed nicely. It was another discovery that was to be perhaps the most unique however. It goes without saying that surfing is a large part of Australian culture, and I’ve always thought highly of the fact that water safety is as much a part of that as the sport, although I guess it has to be in a country where everything can kill you. And it was whilst walking along, admiring the Surf Live Saving Club building in Alma Bay (it has a really nice mural), easily the furthest place I have ever been away from home, that I was quite surprised to find another Coomber. Saying I met Brian Frederick Coomber may not quite be accurate, but I later found out that the plaque describing “the last resting place of” was about as close as I could get, his ashes were actually placed inside the wall. And I found this out after briefly meeting his wife, Lynn, when going to the island’s Cane Toad Races, organised and held by the SLSC. Something I attended merely out if curiosity, I have to say toad racing provided a great evening’s entertainment, as well as converting tourist dollars into charity donations, even if the rules aren’t quite what you’d expect. Each race consists of eight toads kept inside a small circle, which are then released, and the first to leave the larger outside circle, wins. 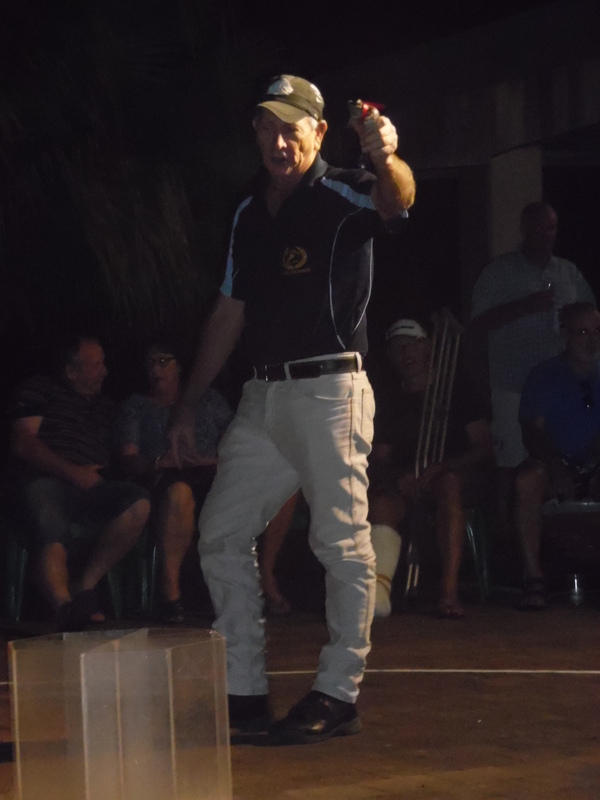 So far so simple, but rather than simply placing traditional bets, the toads are auctioned off to a single bidder before the race starts, and the total money raised is then split between the ‘owner’ of the winning toad and, in this case, the Magnetic Island Kindergarten. So at least my $30 went to a good cause.